The Town is holding two public planning meetings tonight. 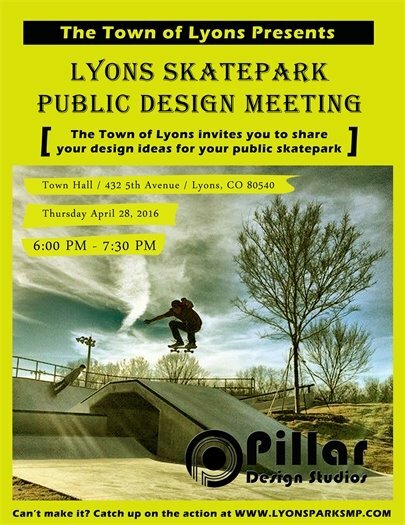 Share your ideas for Lyons' public skatepark tonight, beginning at 6:00 p.m. at Town Hall. 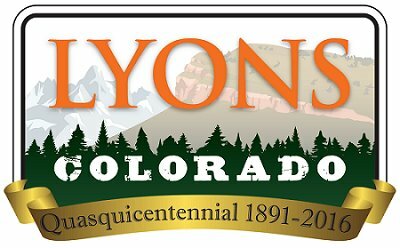 Or, catch the final Eastern Corridor workshop, as part of the Lyons Primary Planning Area planning process, happening at Rogers Hall. The workshop begins at 5:30 p.m., with project representatives available to speak informally with any interested individuals, beginning at 4:30 p.m.
More details on the meetings below.